Peruvian food is becoming famous all over the world, and although the undoubted talents of recent Peruvian chefs such as Gaston Acurio and Virgilio Martinez have a lot to do with that, they would be the first to agree that their success is just another chapter in a long and proud gastronomic history. In fact, just as much as for the French or the Italians, for Peruvians their cuisine is seen as an expression of their culture no less than art or literature. So here is a very short history of Peruvian food for you to sink your teeth into! 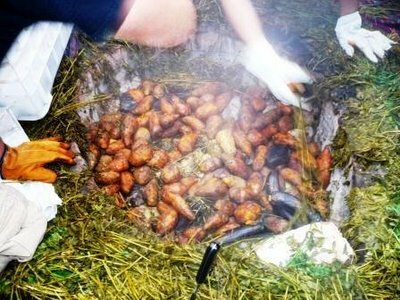 Much of Peruvian cuisine today relies on techniques and ingredients that go all the way back to prehistory, with staples such as maize and potatoes having been cultivated for thousands of years. And although today’s chefs take these ingredients and traditions and do thoroughly modern things with them, the traditional dishes themselves have definitely stood the test of time. 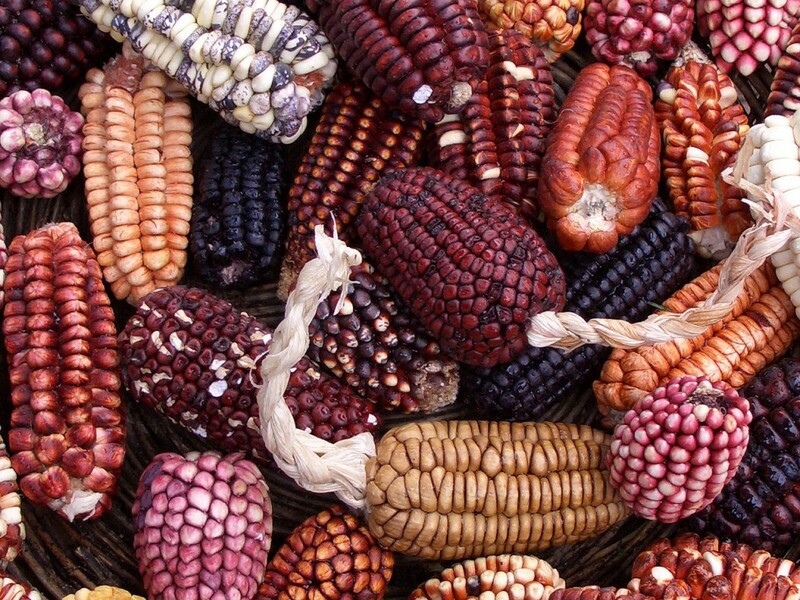 Our first written source on the Incas, the Spanish-Peruvian Garcilaso de la Vega, talks about the abundance of natural produce available to all sectors of society, and handily gives examples of many of the dishes that the Incas ate. For breakfast, toasted maize was a staple, although it was also often made into tortilla-like flatbreads or mashed and steamed as humitas – these little parcels wrapped up in maize leaves are better-known in the US and Europe as tamales but they are served all over South America and are still a tasty breakfast staple in Peru today. The Incas also cultivated literally thousands of varieties of potatoes – and if you like your spuds you’ll be overwhelmed by a visit to any Peruvian market today – which they cooked in soups and stews along with yams, squashes and beans, and on special occasions with meat. For the bottom sections of society this was often the dried guinea-pig meat known as charqui (which is where we get the word ‘jerky’ from) but more well-off people also enjoyed deer, duck, alpaca and llama meat. Meat was traditionally cooked as a pachamanca, where hot rocks are put in a hollow in the ground, the meat is seasoned, placed on top of the hot rocks, and then covered with grasses and maize-leaves, slow-roasting the meat to perfection. River fish in the Andes such as trout and kingfish, as well as seafood on the coast were also all very popular, just as they are in Peru today. As today, avocado featured prominently in many dishes, often accompanying potatoes like in a modern Causa Limeña, while papayas, plums, plantains and pineapple were all staples of everyday life. The Maras salt pans in the Sacred Valley provided salt for seasoning and for preserving, but the most important seasoning of all was what Peruvians today call aji, but the Incas knew as uchu. To us, because of the country they were mainly shipped from, it’s known as a chilli. The arrival of the Spanish marked a new chapter in the history of Peruvian food, and started the long process of mestizaje, or mixing, that is such a feature of modern Peruvian cuisine. Cows, rabbits and – perhaps most importantly – chickens all appeared for the first time on Peruvian dinner tables. The Spanish also planted vines and olive trees, and started to grow other vegetables which are now considered to be Peruvian specialities such as asparagus, limes and oranges. In the 19th-century large-scale Chinese immigration added another layer of complexity to Peruvian cuisine. 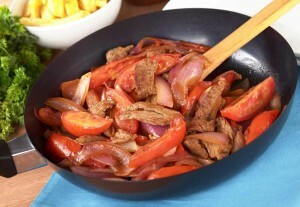 Not only is traditional Chinese food hugely popular in Peru (there are literally thousands of chifas – Chinese restaurants) but these ingredients and techniques also found their way into kitchens all over the country, most notably in stir-fried dishes like lomo saltado, which is a total mixture of Chinese and Criollo cuisines.